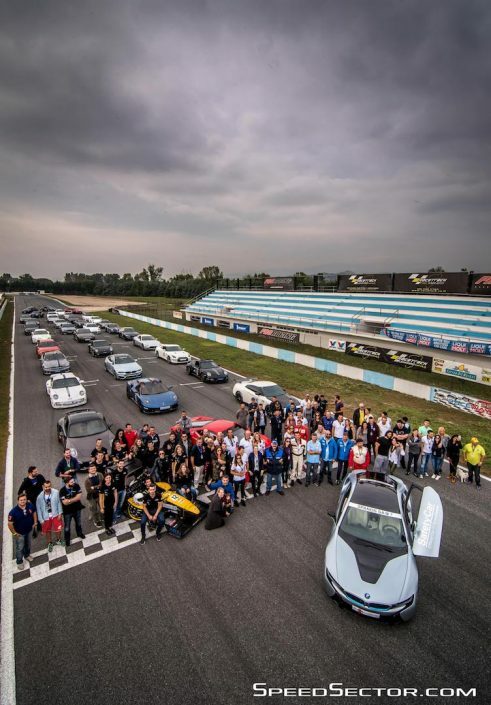 Associates and friends, drivers and passengers, all SpeedSectors check-in and travel united on Friday morning, heading to Macedonia airport-Thessaloniki, where they will meet again their fancy group of supercars, already there via cargo transport from Athens the day before. Shining Porsche, Ferrari, BMW, Mercedes and a couple of GTR, parked side by side, stand out just like a vision on airport’s parking lot for all clueless visitors. For the car enthusiasts, it should be a striking shock! Engine start and off we go for the quaint city of Kastoria, the astonishing drive all around the famous lake, a visit to the nearby Panagia Mauriotissa monastery aging from as long as 1802, concluding with a great lunch at Ktima Kelari, located to Ampelokipous, a village 10km outside the city of Kastoria. After that, one last evening coffee by the lake, enjoying the magnificent lake view, relaxing and chatting with friends, left for a while the fleet of cars parked on Kastoria’s public parking, to attract locals’s attention and compliments. Sunset finds SpeedSectors heading to Serres, on their final destination for the day, Elpida Resort & Spa, an all time classic choice for guaranteed hospitality in Northern Greece. Saturday’s special program, starts with a briefing held in one of Elpida’s Resort & Spa private conference rooms, presenting all specifications while analyzing all technical features of the brand new, high performance Michelin Pilot Sport Cup 2 tire. Participants got also a short briefing on the upcoming Michelin PS4 Challenge presented by Thomas Papapaschos, Executive Manager of Driving Academy. Men and women, regrouped later on to drive a BMW 116d, sponsored by BMW Spanos, in a go-kart track, nearby Serres Circuit. Drivers against time, had to go through a specially designed by Driving Academy course, make no mistakes and be as fast as possible, competing for a set of brand new Michelin Pilot Sport Cup 2, sponsored by Michelin. Women surprised us all, for being focused, accurate, persistent while fast enough to take them under serious consideration! Be aware…Day’s closure found SpeedSectors enjoying an ideal dinner at Cityzen’s cozy environment, while teasing and challenging each other on the upcoming Sunday trackday. Time for the hot stuff has finally come! Track, cars and drivers all set and standby for the “green light”. 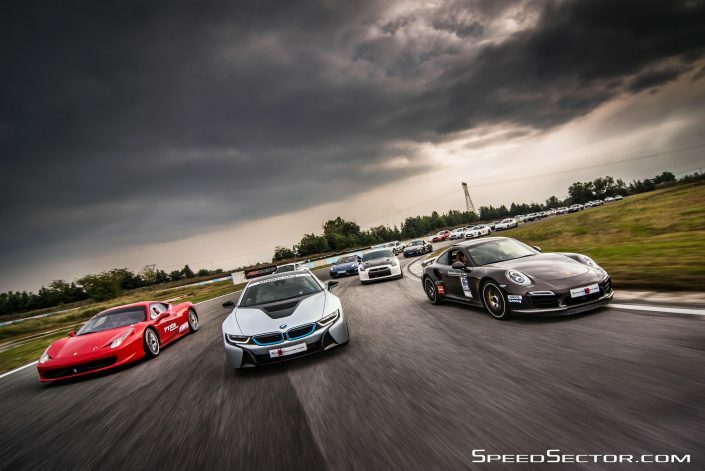 Among SpeedSector’s supercars, two very special Safety Cars sponsored by BMW Spanos, the high tech BMW i8 and the brutal BMW M4. It is our great pleasure to see our drivers evolving event by event, enjoying themselves, becoming faster, smashing their personal records and setting new goals. Michelin, SpeedSector’s main sponsor the last three years, offered another set of Michelin Pilot Sport Cup 2 as a winning prize to whom managed the highest number of laps in his session, ETHNIKI ASFALISTIKI covered the event, while ENEOS offered its highest quality lubricants to another 5 winners. Qube’s energy drinks cooled drivers and spectators during the day, supporting SpeedSector’s event along with cava71%vol and Café molinary. It was a pleasure and honor to have among us ART, the Aristotle Racing Team, and their mini Formula prototype, not hesitating to run the circuit with us! Till next time, enjoy our gallery of amazing pictures and breathtaking videos from our best in their field photographers, cameramen and production team of SpeedSector! Stay tuned and be aware of 4TROXOI upcoming issue on sale featuring BMW M4 at Serres Circuit. Hey Buddy!, I found this information for you: "Serres Circuit 2016". Here is the website link: https://speedsector.com/serres-circuit-2016/. Thank you.